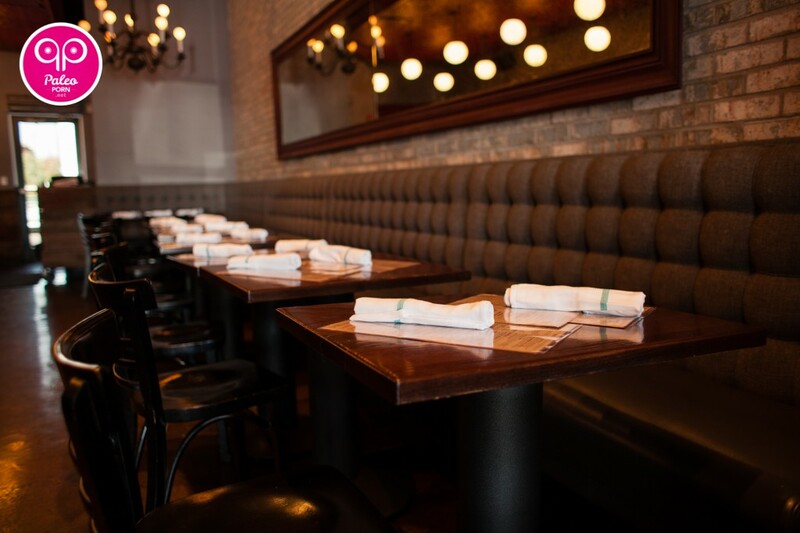 So far we’ve taken you on a savory tour through two fine dining, Paleo friendly restaurants located in the city of Chicago. With this review Anthony’s taking you on a flavor ride with a football flare! 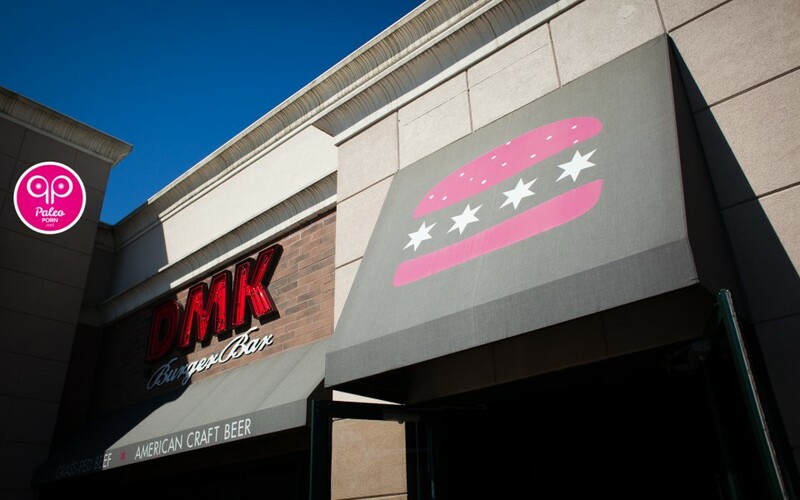 I’ve personally dined at both the downtown and suburban location of DMK Burger Bar and like Anthony, I’ve counted my meal there as a cheat meal. What makes it a cheat for me is different from Anthony. My sweet tooth steps in and I am always curious to try the house made shake of the month, currently the special is Bluth Banana. Let me tell you, those shakes are divine. :) But don’t worry, DMK definitely fits our Paleo friendly restaurant requirements, but don’t take my word for it…take it away Anthony. Oh! and if you enjoy this review be sure to let Anthony know by leaving a comment below. Crisp air and cool temperatures are the sign of autumn in Chicago. Which brings up a great question, is there anything better than football season!? (Of course that was a rhetorical question.) Football is what Sunday’s were made for. What could be better than football and tailgating? Well enjoying a burger and fries on game day comes pretty close. 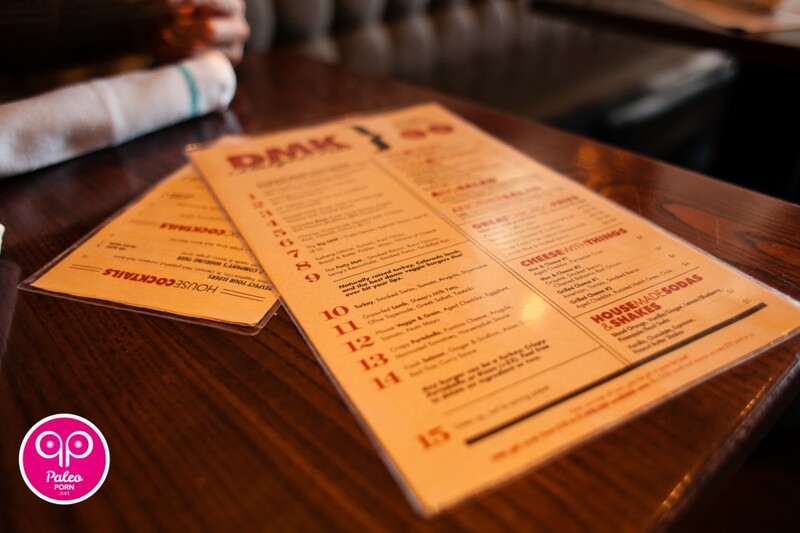 Now, normally I would grab my copy of Pigskin Paleo and make some bacon burgers, but when I’m in a hurry to celebrate, and cooking for several people, that’s when I resort to my favorite burger bar, DMK. I love the choices that they offer. It’s like a West Coast offense’s playbook when you have nothing to lose. Plays, or meat in this case, provide many alternatives. From beef to bison to turkey to lamb to veggie (um, maybe not the veggie, no one needs soy or grain – unless you’re asking for a sack). 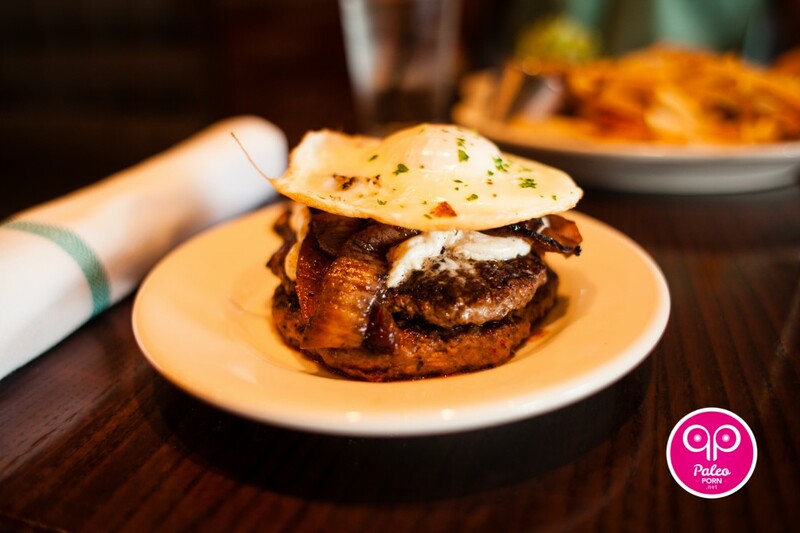 The beef they serve is grass-fed, the way it should be, and it’s full of flavor! 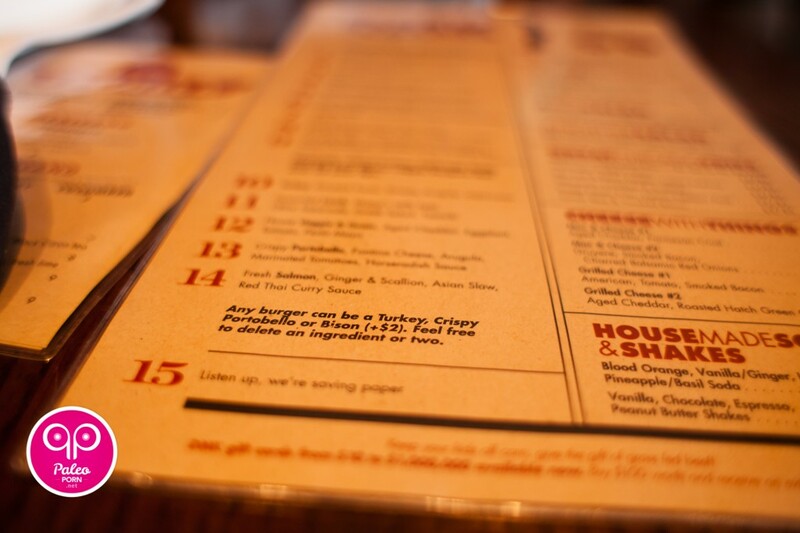 Their menu has many pre-made burger choices, 14 actually, that make you feel as if you have Pro Bowlers on your bench, you know, just in case. Now just like the flea-flicker, creativity is when big things happen. That is what making your own burger feels like and that’s what I prefer. My choice, a double-burger wrapped in lettuce with toppings of caramelized onions and a fried egg. Talk about a flavor ringer! Salty patties, cooked to perfection, topped with the subtle sweetness of the onions and the beautiful and unique flavor of an egg yolk on top. Let’s not forget about the wonderful goat cheese that adds creaminess to that plethora of savory (for those of you who include dairy). 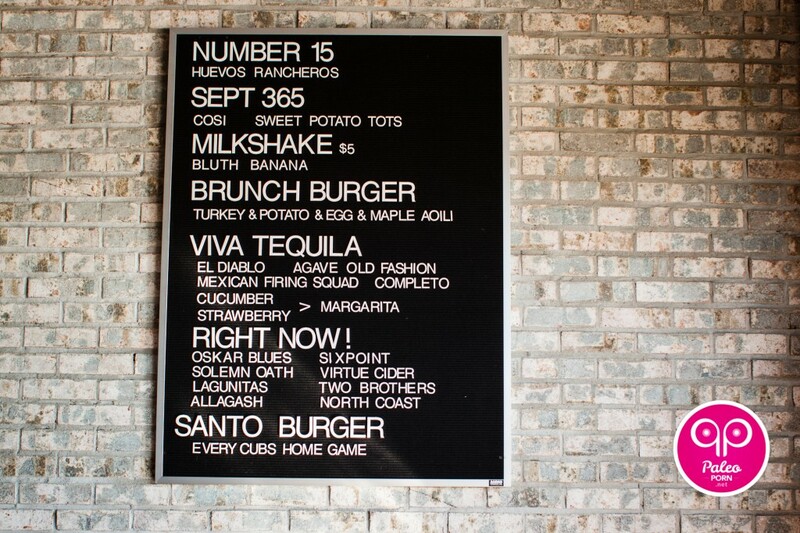 Oh, and just like a QB needs an offensive line, a burger wouldn’t be complete without fries! 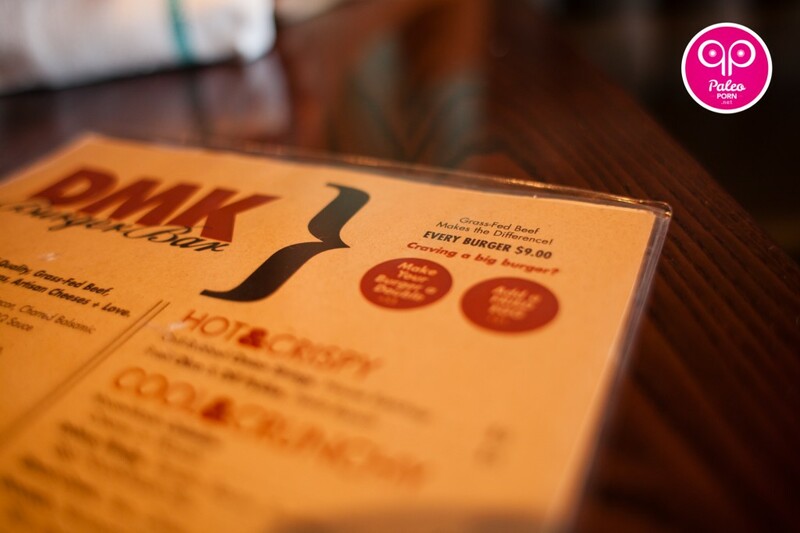 DMK’s sweet potato fries are amazing. They are slightly sweet, with a touch of bitterness – from the parsley – and the sauce is also a tasty counterpart of lemon Tobasco aioli. The combination of sweet and bitter with the addition of sour and a touch of heat will make your tongue cheer. What makes their fries so good is they take their potatoes through a two-part process. With no need for cornstarch this makes them as close to Paleo as you can get (only because the oil they fry it in is most likely canola but they are blanched first so they spend less time in the fryer). Nevertheless, I am chalking these fries up as a cheat, and since I’m cheating I might as well eat like a nose tackle. 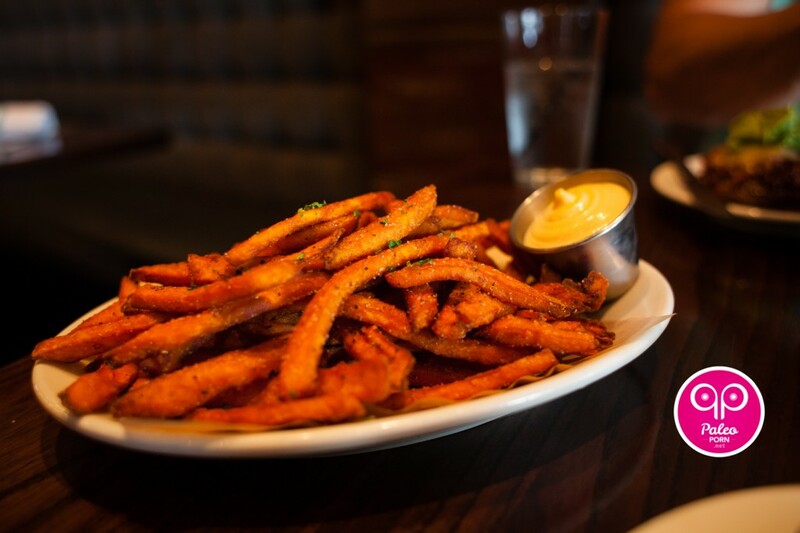 That personal sized order of sweet potato fries is just not enough, make it a double. 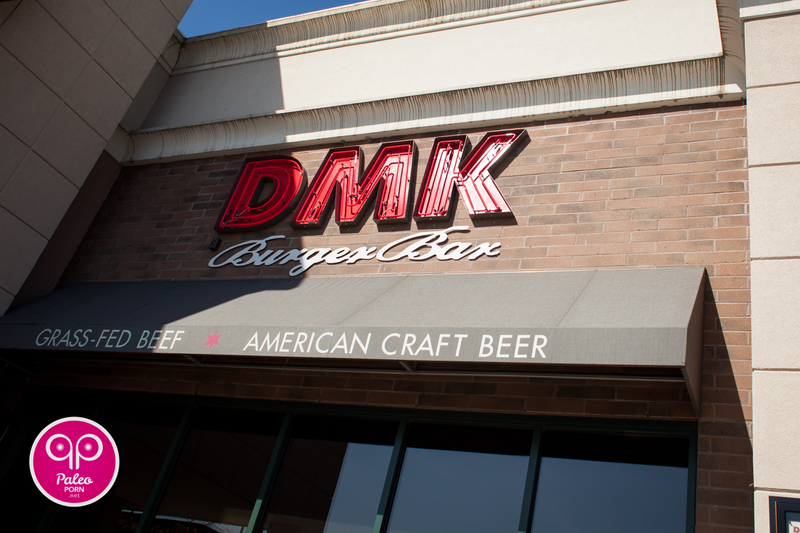 DMK Burger Bar has two locations. One in Lombard, for the suburbanites like myself, and the other in Lakeview. Oh, and in case you were wondering, the Bears are 3-1, Bear down!!! Interested in how paleo friendly a particular restaurant is or have you experienced a perfect place you think we should try? Let us know!